This is an asiatic species enjoying part or full shade provided the soil is moist enough. The non-fertile pinnate fronds arch towards the ground while the fertile ones stand erect in the centre of the plant. It is deciduous and happily came through -15C in 2010 although some feel it is tender! 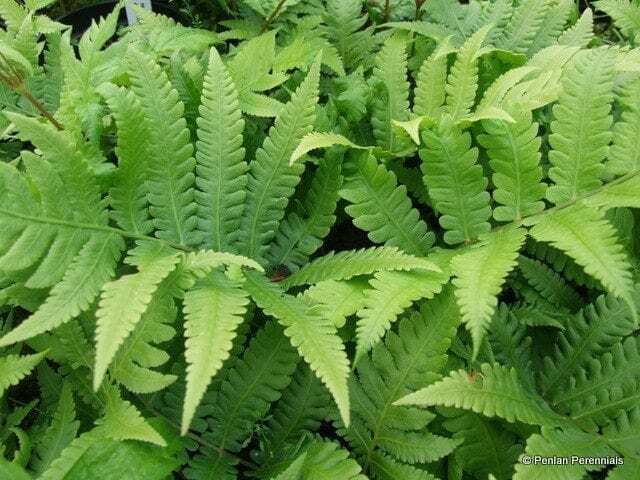 Grow it and know it – the oriental Ostrich Fern is a great plant for associating with other ferns, bamboos or tree ferns. When in growth this is one of our most popular ferns. Hardiness rating H5. Mulch the crown in winter to protect from frost. Collect spores from fertile fronds, although be aware it may take a year or two to produce them. Alternatively, divide carefully as new growth starts in the spring.